We’re all about having fun here at 1001Up – it’s a little hard not to when you consider the amount of puns Phil is able to come up with in just one day. But we do have a few serious objectives when it comes to our reviews. First, we strive to provide players with an insight into how a video game plays; second, we want to give you useful information to help determine whether a title is worth your time and funds; and ultimately, we aim to answer the fundamental question: should a release be included within a list of the top 1,001 video games? Due to the nature of 1001 Video Games and age-range of our team, at times our articles may be prone to a touch of nostalgia; but we’ll always objectively cover the highs and lows of any video game within a review and aim to do so in an impartial manner. We won’t be persuaded to take a particular line and take pride in every single piece of content we publish. The emphasis is on providing independent and quality content, giving opinions supported by sensible and honest reasoning. Our priority isn’t to review the latest titles as soon as they’re released but rather when we’re ready to, after getting under their skin and really understanding them. The emphasis is on providing independent and quality content, giving opinions supported by sensible and honest reasoning, and inviting discussion from all areas of the gaming community without discrimination. For more information on our way of working, please see our page on the 1001Up philosophy and full disclosure statement. Everybody is different when it comes to reviews. Some like a full evaluation and getting the detail on a video game, while others don’t have the time or inclination to sit through a lengthy article. We wouldn’t be doing our job properly as reviewers if we didn’t try to cater for both preferences and provide information in a format that’s accessible, so we’ve come up with a structure we hope suits a wide range of readers. We wouldn’t be doing our job properly as reviewers if we didn’t provide information in a format that’s accessible, so we’ve come up with a structure we hope suits a wide range of readers. Each evaluation is split into a number of sections so if you’re looking for particular details – for example, on a game’s plot or gameplay mechanics – you can jump straight to the relevant part. At the end you’ll find a round-up that provides details on the title in question and its release, along with what we think are its highs and lows; there’s also a handy visual representation of how we’ve reached the final grade. While this table won’t provide you with as much detail as the full article itself, they’ll give you a snapshot of our impressions. Our goal is to complete a video game’s single-player mode before writing a review but in some cases this just isn’t possible. For example, if we waited until we’d finished an open-ended, massively-multiplayer online (MMO) game the article may never end up being published. However, we’ll always make sure we reveal how much of it we got through, whether we checked out the multiplayer mode and if we played any of the bonus levels. Not all video games can be directly compared – for instance, it would be impossible to classify The Secret of Monkey Island and Call of Duty in the same way. But it’s useful to know how they stack up against each other to get an idea of their relative quality and what you’re getting for your money. That’s why we look at six different aspects when reviewing a title, to try and give as comprehensive a picture as possible: plot, gameplay, graphics, sound, replayability and innovation. Each of these factors is scored out of ten so an overall score out of sixty can be applied to a review. This enables us to give one of five final grades to a game and figure out which should be included within our very own list of the best 1,001 video games. 57 to 60 points This is our highest recommendation and while there’s no such thing as perfection, games given this award come pretty close in our opinion. They’re older titles that have stood the test of time and still hold much appeal for young and old players alike, or newer releases which we hope will become future classics. 43 to 56 points These are video games which are definitely worth adding to your to-play list and it’s clear the developers have put in a lot of hard work and effort. They might have a few minor negative points, but contain enough excellent qualities to override these and make for a release worth getting your hands on. 29 to 42 points Our middle-of-the-road grade. There’s a good game in there somewhere but you’ll have to overlook a number of ‘only ifs’ in order to uncover it. They’re still worth spending a some time with but may contain a technical glitch or two, lack innovation or ambition, or become repetitive over time. 15 to 28 points These are titles which contain a number of negative points that unfortunately the positives just can’t outweigh. You may find you enjoy certain aspects of such releases but if you have limited time available to play or funds to part with, we’d recommend you think about giving something else a go. 0 to 14 points Our lowest grade is given to those video games we’re likely never to consider playing again in the future. It could be down to poor execution, huge technical bugs, massive plot holes or insulting concepts; whatever the deciding factor is, we’d advise you to steer clear and save your money. We’d obviously love for you to read our articles instead of skipping ahead to the grade, as a static review score has a limited shelf-life and can never fully represent the reviewer’s assessment. But they do have their uses: they complement the text when not considered in isolation, provide a general indication of a title’s quality, and give readers an understanding of where we’re coming from. Above all they help us to determine which titles should be included in our own list of the greatest video games in the world. You should never be surprised by what you find at the end as the score will be a summary of a well-developed and reasoned opinion, explained in full beforehand. We don’t score games until review is finalised – we don’t write with a final grade in mind and always discuss these as a team before an article is published. This means you should never be surprised by what you find at the end as the score will be a summary of a well-developed and reasoned opinion, explained in full beforehand. Grades are just a baseline for our opinion and we encourage readers to check out our reviews in full. Each contains details about its author and it’s a good idea to follow our writers on Twitter; you’ll get to know us a little better and gain an understanding of how we tick, and occasionally we might just say something funny or post pictures of kittens. If write about the above, such articles will be classified as previews and can be found in our dedicated section. In addition we won’t change a review score after publication. But if we believe a title has changed significantly over time or if it has received a number of updates, we may choose to re-review it at a later date and will link to the previous article for clarity and transparency in such cases. Every player has certain types of video games they prefer: some like the fast-paced action of a shooter while others prefer a more thoughtful RPG for example. One of the brilliant things about gaming is that there’s something out there for absolutely everyone. Ultimately, we make sure each release ends up in the hands of a writer who actually cares. To make sure we give the most expert opinions we can, we always try to pair a title with the team member who’s most familiar with the genre or style so the views given within an article are educated and reasoned. We all speak up for the games we’d like to play and at times may decide to write a joint review if we feel this would be the most beneficial format; but ultimately, we make sure each release ends up in the hands of a writer who actually cares. There’s no magic formula when it comes to calculating a review score and everyone has their own worthwhile opinion. While the team does talk about grades and tries to come to a consensus when it comes to awarding these to video games, there are going to be times when we just can’t agree. In such cases the reviewer of a title has the final and official say but we’ll always mention within an article when our colleagues have a different view and their reasons for this. There’s no magic formula when it comes to calculating a review score and everyone has their own worthwhile opinion. 1001Up is brought to life by a group of people from different walks of life and we’d like to think of this as one of our strengths. We come from various backgrounds and our opinions are based on a wide range of experiences, so our combined efforts will hopefully provide you with a complete picture when it comes to gaming. 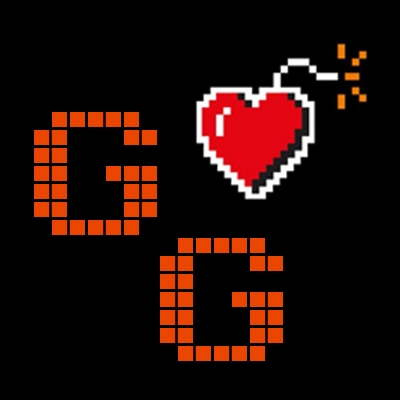 We all love a good debate, are interested in hearing others’ views and are passionate about video games; more information about each writer can be found on our page about the team. A grade shouldn’t be the end of a discussion and we invite everyone, readers and writers alike, to continue the conversation. Everybody is welcome to leave their thoughts and opinions at the end of each article and to interact with us via any of our social media channels in a smart and professional way. After all, a score is only a number and there are plenty of amazing and interesting discussions to be had beyond it. A grade shouldn’t be the end of a discussion and we invite everyone, readers and writers alike, to continue the conversation. If you have any questions about our review system, please don’t hesitate to contact us at policies@1001Up.com. If you’re a developer and would like to submit your video game to us, we’d love to hear from you at press@1001Up.com; we can’t guarantee we’ll be able to review everything received, but will definitely consider all submissions.